What a lovely picture with the ‘cloak’. 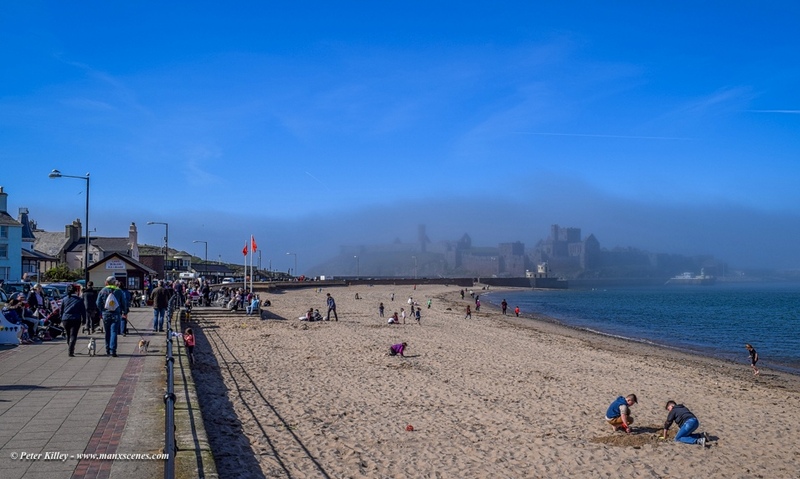 We’ve just come back from a week in North Wales with wall to wall sunshine but the mist was hanging over the sea on several days. We did Peter. The grandson’s spent most of their time on the Ffestiniog Railway but Michael and I went off by ourselves visiting some of the old pilgrim churches (unfortunately several were locked with no information about a key holder) and doing some gentle walking.